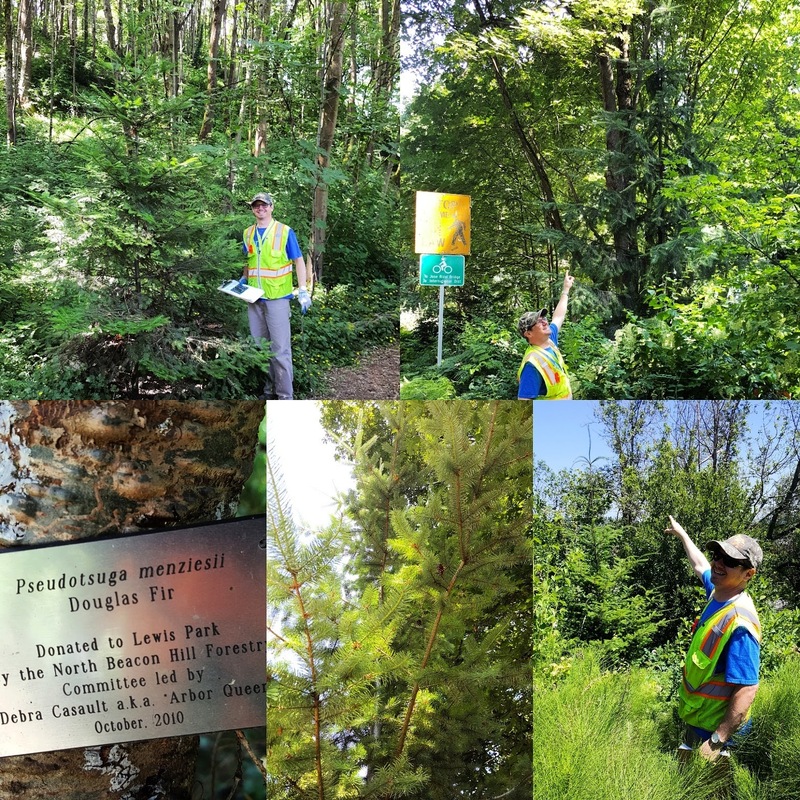 Seattle Parks and Recreation Plant Ecologists wrapped up the June Phase 4 forest assessments. We made site visits to some of the oldest Green Seattle Partnership restorations in the West and East Duwamish Greenbelts. Some of the trips helped to verify what our field inventory data suggests – that these are some of the healthiest forests in Seattle! While we look for unhealthy characteristics like weed cover and woody invasive species presence, we also tramp through dense brush to search out regenerating conifers planted in the early days of the Partnership. 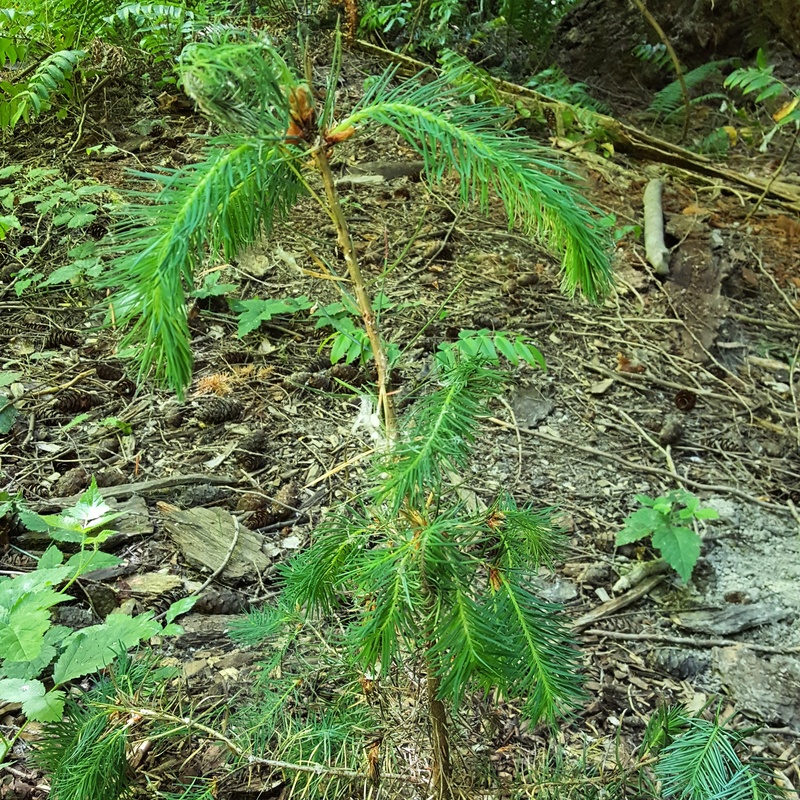 We found predominantly Douglas fir, grand fir, Western hemlock and Western redcedar hunkered down in the shade as well as older trees growing above the height of the forest’s shrub layer. Due to their size, growth increment or remnant colored flagging, we can sometimes decipher the age of these trees and when they were installed. Key Observations – The Douglas fir really should be planted in full sun due to the relative shade intolerance of the species. When we do find Doug fir in the shade, the trees are not growing robustly with their characteristic rigid upright leaders and branching. The needles of the shade grown trees are often splayed out flat from the twig and oriented parallel to the ground, instead of the normal spiral arrangement, in order to capture as much sun as possible. The needles also lose the waxy cutin that guards against excessive water loss – essentially a sunscreen for the plant. If a canopy opening does open up exposing these trees to the sun, our fear is that these trees will fry in the summer sun and drought. So, remember to plant the right plant in the right place. The latter pages of the GSP Forest Steward Field Guide will help with plant selection. We should also plant trees at the right densities to achieve long-term stewardship and maintenance. Natural regeneration in our forests can be severely limited by light conditions, competition from dense understory (native and weeds) as well as the lack of woody debris. That is why we plant to fill those gaps in the structure and function of our urban forests. GSP staff can provide guidance on proper stocking of seedlings using the Target Ecosystem metrics. 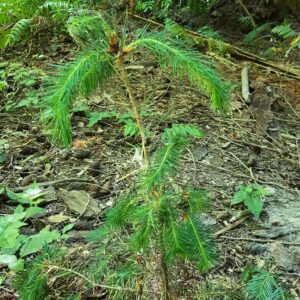 Seattle Parks has made a concerted effort over the last few years to offer volunteer forest stewards as many plants as they have the capacity to plant and establish. Thanks to Seattle Park District funding, we will be receiving and distributing over 50,000 native plants from our nursery in 2017-2018. The volunteer forest stewards will generally plant between 200 and upwards and over 1000 plants per year into their parks. Then, in our bigger and steeper parks, the professional crews will source thousands more plants and may install 10,000 natives per park!